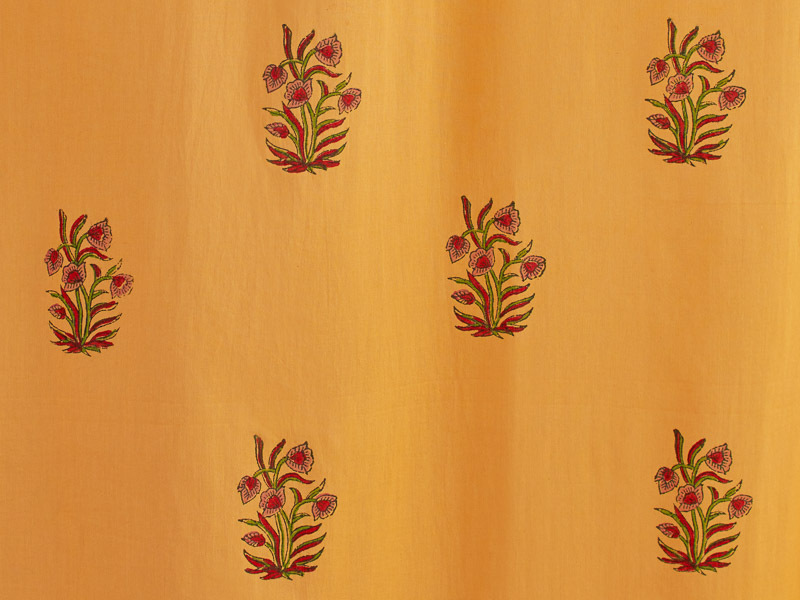 Graceful, stylized, floral motifs in red, green and pink on a mango hued ground. 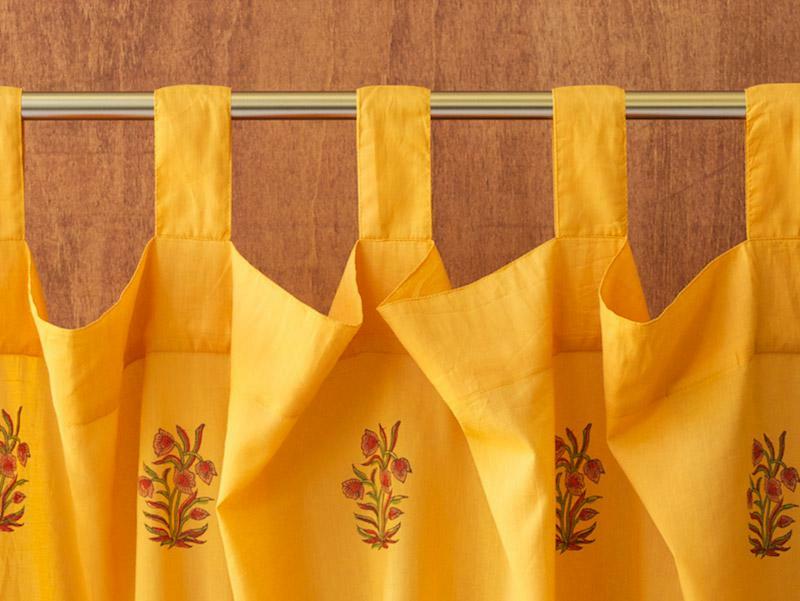 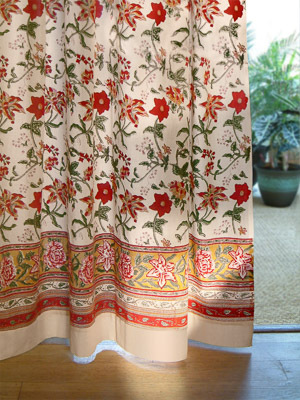 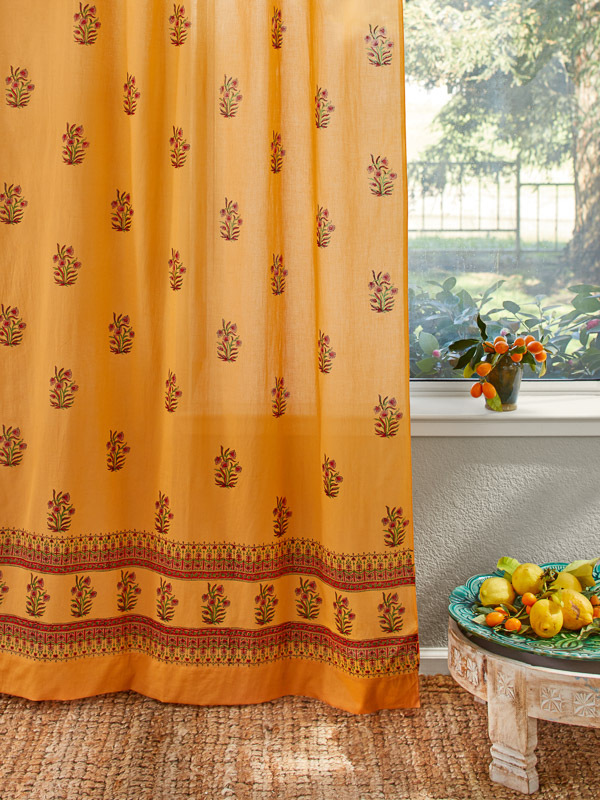 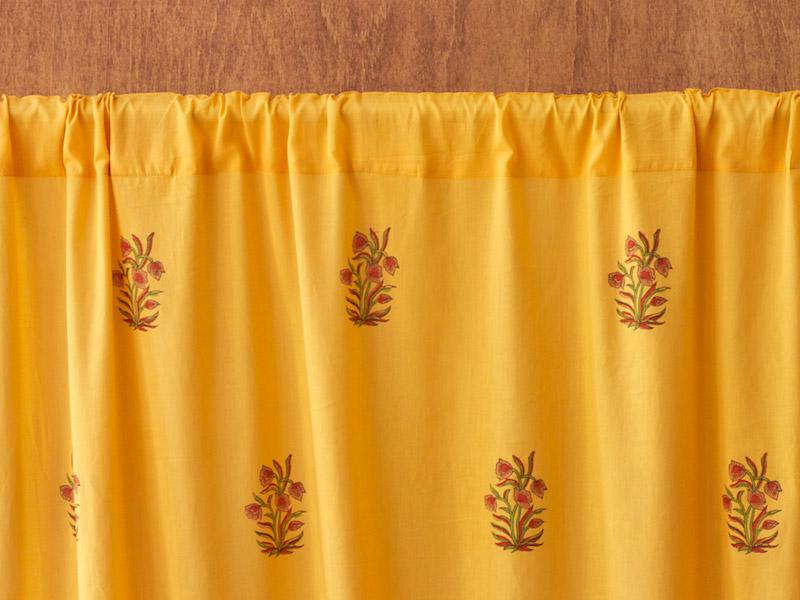 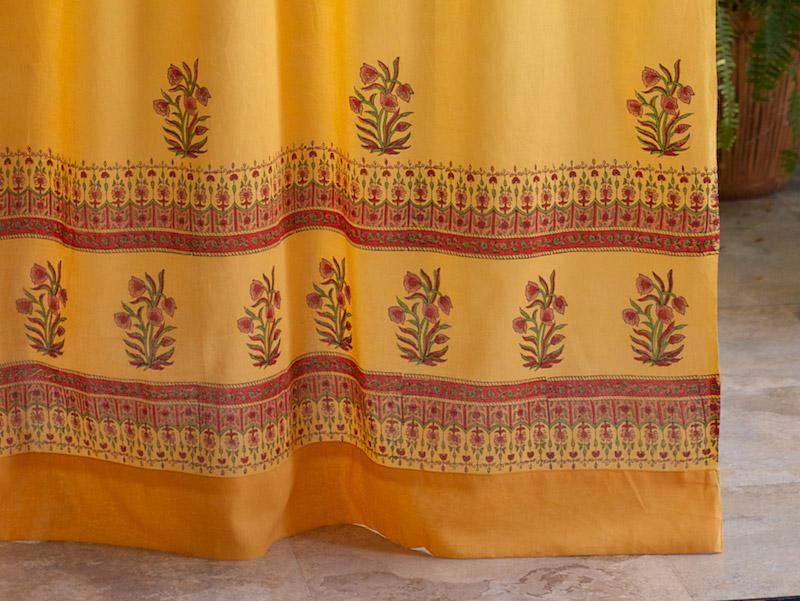 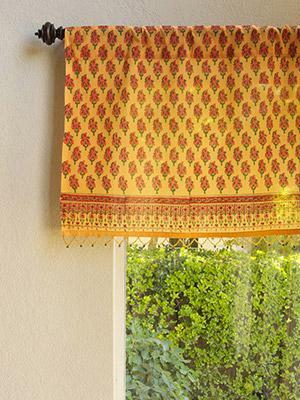 These curtains will bring the tropical warmth of an Indian summer into your home. 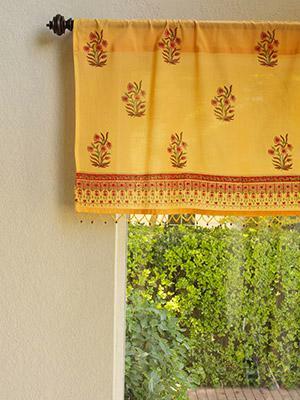 Use the mango hue as the inspiration to play off ... [ read more ] your room with similar colors. 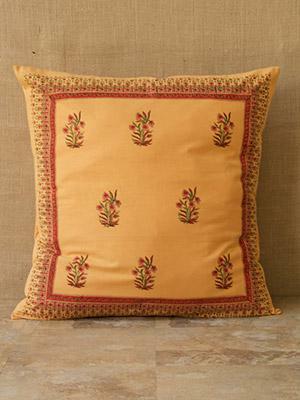 Start with a neutral base (walls, furniture) and pull colors from global pieces and handmade items in your accessories. 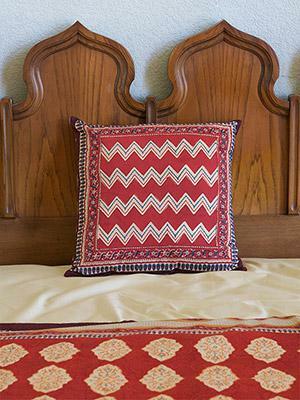 Use rugs like sisal and bamboo to add texture to achieve that global look!